Two of the biggest musical celebrities of the 20th century come together with Christmas songs old and new in this classic holiday special from 1957, filmed in colour. As Frank Sinatra casually trims his Christmas tree on a very hip, fashionable bachelor apartment stage set, his good friend Bing Crosby drops by, bearing an armful of gifts. They go on to perform their favourite Christmas songs, among them Jingle Bells, Sinatra's version of Mistletoe and Holly and Crosby's famed White Christmas. We don't have any reviews for Happy Holidays with Bing and Frank. 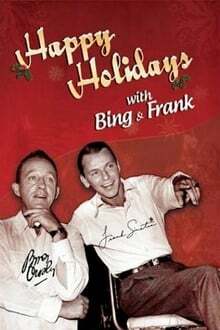 We don't have enough data to suggest any movies based on Happy Holidays with Bing and Frank. You can help by rating movies you've seen.